Isolastic is a latex additive to be mixed with Kerabond, Kerabond T or Kerafloor to improve the performance and deformability to satisfy class C2E (improved cementitious adhesive with extended open time) when mixed with Kerabond or C2 (improved cementitious adhesive) when mixed with Kerabond T and Kerafloor according to EN 12004 and class S2 (highly deformable adhesive) according to EN 12002 requirements. Adhesives obtained this way are suitable for interior and exterior bonding of all types of ceramic tiles (double-fired, single-fired, quarry tiles, klinker, terracotta, glass mosaics, porcelain tiles, etc.) and stone material on conventional substrates, on concrete, precast concrete panels as long as well cured (3 months), heating panels, fibrous cement, plaster board and wood or wood composition panels as long as they are firmly fixed. Installations can be carried out over gypsum-based or anhydrite surfaces only if specifically primed beforehand. 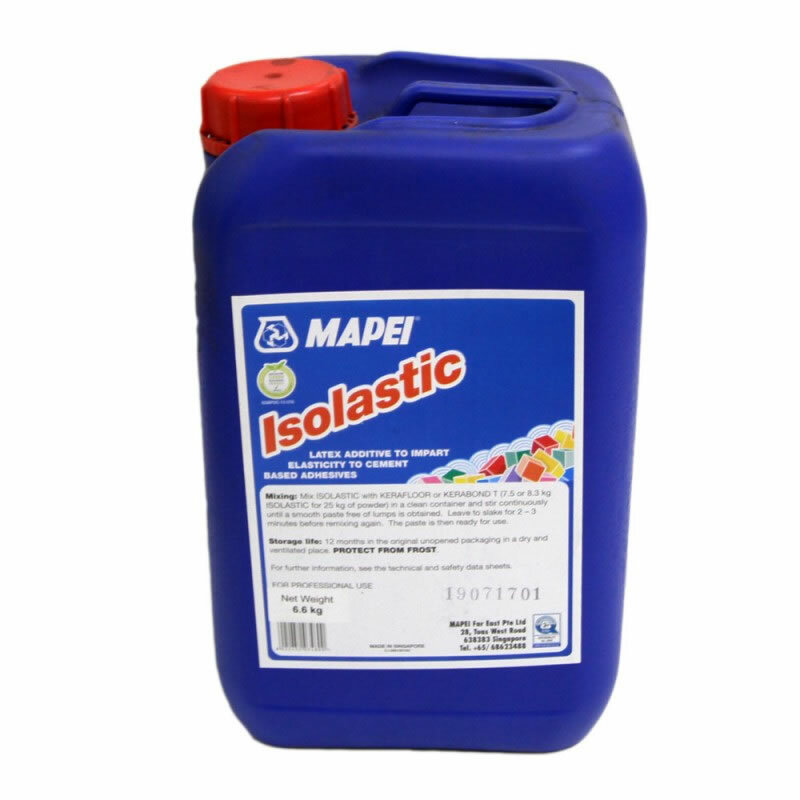 Isolastic diluted 1:1 with water can be also mixed with Adesilex P10 to improve its deformability to satisfy class S1 requirements according to EN 12002. Kerabond/Kerabond T Isolastic are CE marked, as declared in ITT certificate, respectively nº 25070081/Gi (TUM) and nº 25040265/Gi (TUM) issued by the Technische Universität München laboratory (Germany).